Innovation isn't always the name of the game at the Consumer Electronics Show. The 2012 edition of CES is expected to feature several entries from companies that are not introducing new products, but instead making current ones lighter and thinner. The term ultrabook will be beat into the heads of laptop users next week, as several PC-makers will try to compete with Apple's popular MacBook Air laptop. The emphasis on creating thinner, sleeker-looking laptops is coming from Intel, who has designed chips to work on new computers from Lenovo, Acer, Asus and Toshiba. 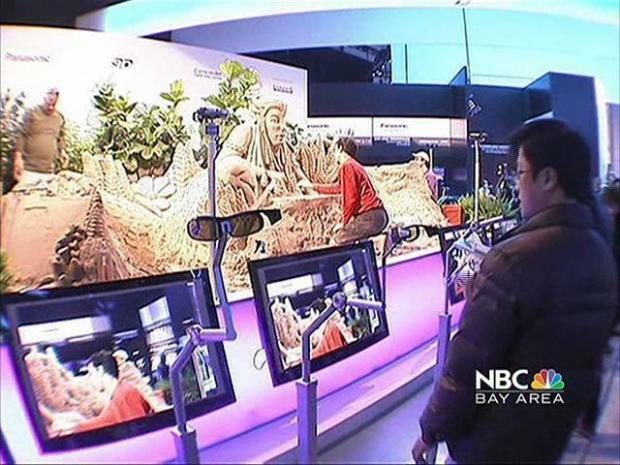 The Consumer Electronics Show is buzzing this year and not just from all the high tech devices. Company reps say because of a better economy they actually expect to sell what they make this year. Like the MacBook Air, the Ultrabooks run on Flash memory instead of hard drives and they rely on app store downloads instead of DVD-installations. The move is expected to be a boost for the industry and it has even pushed Apple to make moves in the flash memory game. Apple is already the largest consumer of NAND flash memory in the world, purchasing 23 percent of the international supply last year. Just last month Apple completed its largest purchase since it brought Steve Jobs back to the company and took over NeXt, when it purchased flash manufacturer Anobit for $500 million. The thin game doesn't end with Ultrabooks. Both Microsoft and Google are set to push faster, thinner tablet computers. Many of them will be running on the same type of memory and rely on the same style of software installation that Apple has made so popular.